Those who have struggled with weight concerns have usually tried numerous methods to slim down, often with less than satisfactory results. In certain cases, more than the traditional methods of diet and exercise may be required. Thankfully, new methods have developed in recent years that are allowing patients to reduce body fat without all of the risks and recovery times associated with invasive methods such as liposuction. Cold laser therapy is a relatively recent medical technique that has been helping many to trim their figure with non-surgical treatment options utilizing a safe cold laser to reduce excessive fat. Laser fat removal is an FDA approved weight loss treatment, allowing a person to achieve a slimmer figure through use of the Zerona laser. This laser removes cellular fat during pain-free treatments that take place over several weeks’ time. The patient lies on either side of their body, as the low level laser light passes over them, emulsifying fat cells in the process. These fat cells are then removed from the body by means of natural detoxification. Patients actually report feeling refreshed from the treatments, which last about an hour and are more affordable than surgical alternatives. In addition, there is also no recovery downtime and a patient may resume their normal lives as soon as their appointment is over. Cold laser therapy for fat reduction should not be confused with cold laser surgery . Low level laser treatment is a non-invasive method for significant fat reduction without the risks associated with various surgical methods of fat reduction such as liposuction. While current surgical procedures require operations involving anesthetic and related recovery time, cold laser treatments are provided in the comfort of your doctor’s office with a completely safe cold laser light. No incisions are made in the skin to suction out fat and no sedation is necessary. 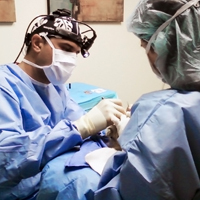 Surgical complications of swelling, bleeding and bruising are also avoided with the cold laser option. Patients can resume their normal activities immediately. Many have witnessed significant Zerona before and after treatment results. Those undergoing cold laser therapy can expect to lose anywhere from three to nine inches from problem areas such as their hips, waist and thighs, as well as a reduction in their clothing size. Some patients have also noticed an improvement in cellulite appearance. Many begin to see the best results within as few as four to six appointments. Patients can always return for more treatments after the initial sessions if desired, and results can be maintained through ongoing healthy diet and exercise routines.